For those who have read my New Year’s Resolution blog you’ll know that one of my goals was to run my first timed 5k. Well it’s been a month and I’ve done three so far, 2 of which were timed and 1 was for fun. 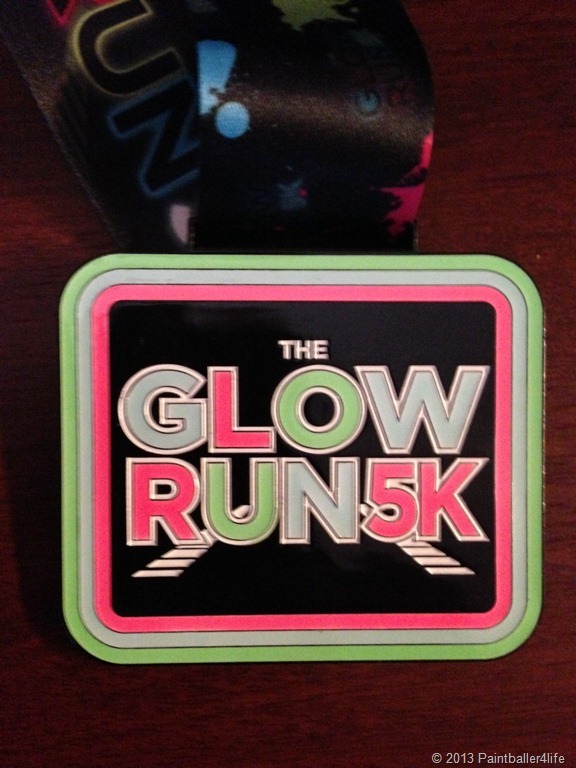 The first one was the glow run and it was obviously a night run and time wasn’t really a factor. This was truly my first 5k and I had a blast. 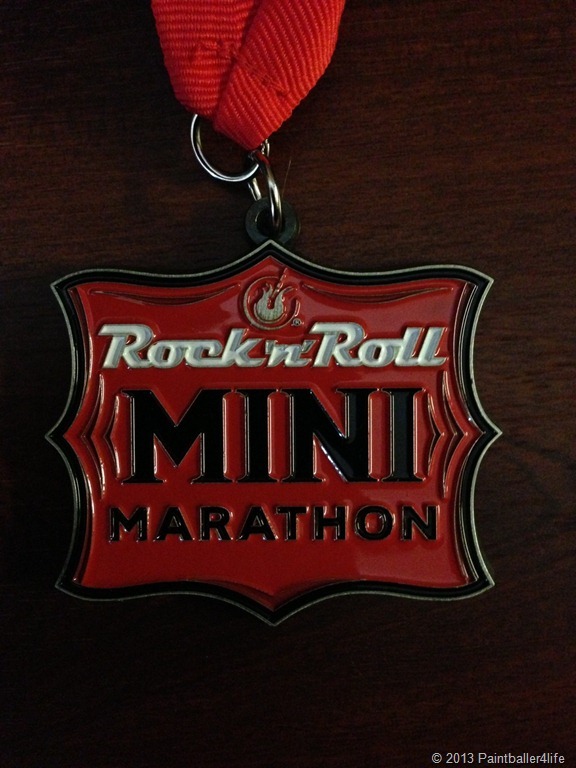 My first official timed event was supposed to be the Rock N Roll mini marathon, but I signed up for the Best Damn race a few days prior to the event. The day of it was freezing and I was thinking what the hell did I get myself into, but after the start I threw on the iPod and went into a zone. From there on out the only thing going thru my mind was concentrating on the task at hand, which was completing the run. Seeing how this was my first run I had planned on a 45:00 minute run. 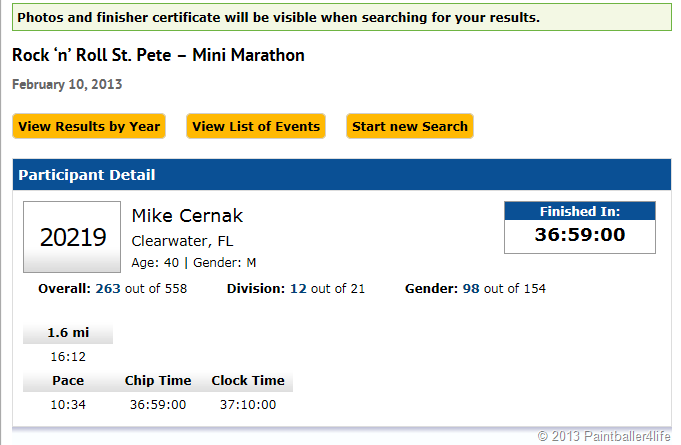 Pleasantly surprised I was when I crossed the finish line at 38:25. This past weekend we ran the Rock N Roll event in St Petersburg, Fl. The wife ran the half marathon but I chose to run the 5k. Not knowing what the parking situation would be like we found ourselves down there extra early to allow for parking and walking to the start line. With an hour or so to kill prior to the event we walked around and tried to keep as warm as possible while mentally preparing for the event. Some funny things worth mentioning were some of my songs and how they showed up while on shuffle. The first song worth mentioning was Tone Loc vs. Salt N Peppa Wild Thing vs. Push it. Random first song but maybe my iPod was onto something as Mile 1 seemed to be a fast one for me. Everything else was a blur up until the end when my song playing when I crossed the finish line was Midnight Star Freekazoid. While I found the funniest one of them all was when I was listening to my iPod still as Nanci crossed the finish line several hours later. Her song for finishing her half marathon according to my iPod was MC Hammer here comes the hammer. I just laughed as anyone who knows my wife would find that totally hilarious. 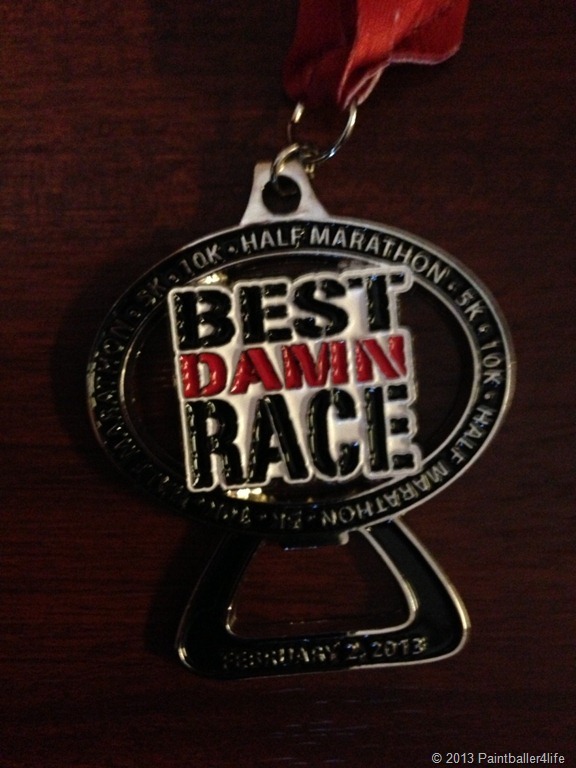 When crossing the finish line for this event I turned in a 36:59 for the run. Not what I was shooting for but a respectable number from what everyone tells me (especially for my second timed event). While I’ll admit I don’t get the same rush others do from running the race and crossing that finish Line. I do understand where they are coming from as it’s the same rush I get from playing paintball and winning the game. What sport or activity do you get a rush from doing? Have you been following thru on your New Year’s Resolutions?